The new Model 104 is designed to wind miniature platinum sensor coils used in gas detectors, PRT's, RTD's and other typical applications. These coils typically are wound on .020 (0.5mm) diameter mandrel. The wire can be as small 56 AWG (12um). The mandrel is gripped and rotated from both ends. A special closed loop tensioner is used to pay off the wire and maintain a constant tension while winding. 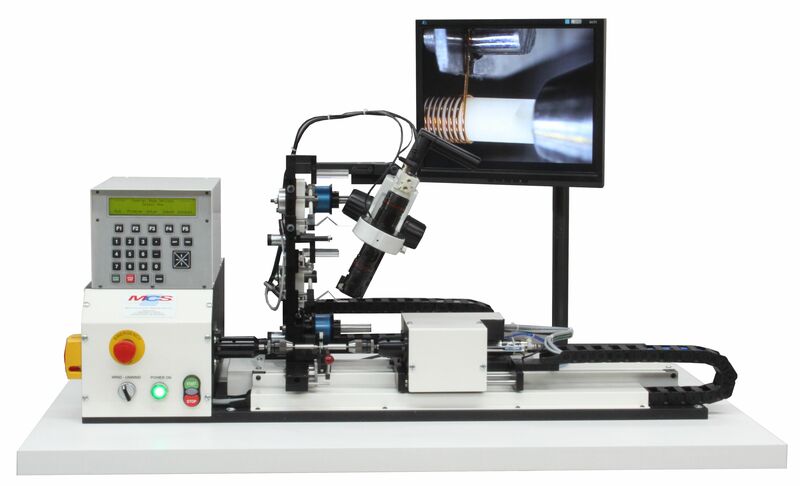 A vision system is included to magnify the winding process.